7:30 David B. calls meeting to order. In response to budget discrepancies between forecasted and actual budget on the stormwater management project, KFNA has been in negotiations with MMWO to resolve any potential issues. In the original project budgets, design was a low cost item and construction was a high cost item, but proved the opposite in actuality. In order to resolve this and also address potential deadline conflicts, a revised contract between KFNA and MMWO created. The new budget makes KFNA liable for $111 more than original and extends the deadline for completion of the projects to November 30. David Saddoris made a motion to approve the contract as revised. Arthur seconded. Passed unanimously. Urban Partnership Agreement: Bus Rapid Transit on I-35W south of Kingfield an important step, but large gaps remain that Kingfield could help resolve. Elizabeth to arrange a date for a community meeting at King Park to involve neighborhood and also arrange a breakfast for “transportation leaders” to provide greater detail to those actively involved in this transportation issue. Crosstown Construction: With Diamond Lake Road and 50th Street bridges over I-35W out, 46th Street is main access remaining. So far there have been few complaints about heavy traffic on 46th to Elizabeth, but they are proactively working on addressing traffic issues through the adjustment of lights, signals, etc. 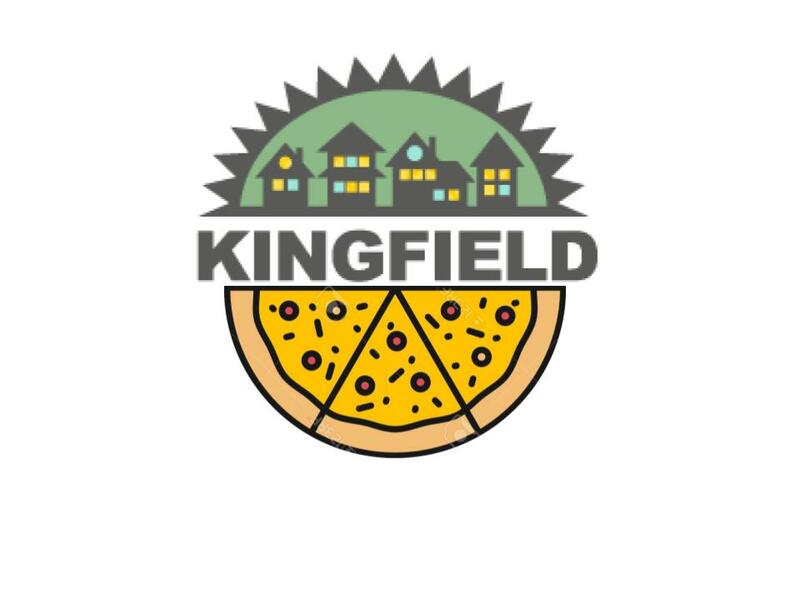 Possible new liquor licenses in Kingfield: Elizabeth suggested arranging to have a liquor inspector attend the next Redevelopment Committee meeting in order to assist KFNA is establishing its own process for evaluating new requests for liquor licenses. Elizabeth also offered to personally assist in whatever way possible in this endeavor. David P: Discussions progress on the evolution of the website. A Requst for Proposals (RFP) for web designers is forthcoming, but David would like to be able to approve $1000 more than the current $1000 ($2000 total) for responses. Once completed, the website would cost $50-$100 annually. The goal is to have the website operational by the end of the year. Arthur moved to authorize up to $200 for creation for the website as laid out in the discussion. Amy seconded. The motion passed unanimously. Michael Lander and Ben Kerl updated the board on recent developments at their property at 38th & Nicollet (previously the Thiessen Vending Co). The development model has been revised to be a office / retail building with a marquis restaurant tenant on the corner space. Blue Plate Group, owners of Longfellow Grill, Edina Grill and Groveland Tap among others, wants to open a restaurant in 6000 square feet of the total 22000 square feet (above ground) of the existing building. They would recreate the business model of Longfellow Grill, which would require a full liquor license. Lander is currently figuring out the process to obtain a license, but wants to remain in close contact with KFNA and Councilmember Glidden. Given market forces, Lander would like to open the restaurant as soon as possible, which would require neighborhood support prior to full project parameters being established. He recognizes the issues this may create but is optimistic that a solution agreeable by all parties can be reached. Restaurant may open as soon as February. This issue will be addressed by the Redevelopment Committee. Redevelopment will inform the board of progress. Sarah Linnes-Robinson provided a sheet entitled “Walldogs on Nicollet” which outlined the Walldogs project. The joint project between KFNA and the Lyndale Neighborhood Association (LNA) will, in short, consist of 6-10 murals along Nicollet Avenue created by artist and volunteers. The purpose of the project is to use the creation of public art to build community, create a new aesthetic, to spur economic development and to create a safer environment along Nicollet Avenue from Lake Street to 46th Street. There will not be an equal number of murals in each neighborhood, as Lyndale has greater need and opportunity for the murals. The Walldogs project will tie into other art projects of KFNA’s, but not replace any of them. LNA receipts all expenses and keeps the books for the projects. It was suggested KFNA should ask for a monthly ledger from LNA. Sarah asked that KFNA’s Board be involved in the project in order to raise awareness, involvement and revenue. David Potosky moved the Board approve the Project Details from sheet provided by Sarah Linnes-Robinson (listed below) and that Sarah provide the Board with a monthly budget. Arthur seconded. The motion passed unanimously. Budget: It appears as though the market will generate roughly the same amount of revenue as expenses it has incurred. Farmers Market Task Force would like to split from KFNA in order to pursue greater resources it feels it needs to survive coming years. Project began last Sunday at the Farmers Market. The project asks volunteers to enroll in the Minnesota Energy Challenge and provides participants with a Kill-A-Watt device which measures energy consumed by specific appliances. Participants are asked to record and report on 10 devices in their homes, with the results posted on the website. Twenty-five Kill-A-Watts were obtained through a micro-grant. Bike tours to each of the stormwater management project sites led by a member of the Green Committee are being offered to Kingfield at large. A sign-up sheet for Board members was passed around. Arthur moves that KFNA send the letter written by Tom Parent as the chair of the Redevelopment Committee to the developers of the site at 3601 Nicollet Avenue advising them of neighborhood concerns about the project meeting stated Redevelopment Guidelines for the neighborhood. Mary seconded. The motion passed unanimously. There will be a meeting on October 2, 2007 to address park planning strategies for MLK Park. While everyone recognizes the possibility that this may be an opportunity to rehash the miscommunication regarding the erection of the baseball field fence earlier this summer, it is hoped that the meeting can be focused on positive steps moving forward. Chris Sur and Dianna will attend as the KFNA reps / planners. Arthur moved to adjourn meeting, Chris seconded. The motion passed unanimously at 9 p.m.